At last month's Wannagofast 1/2-mile shootout in Florida, Phipps and the Alpha Omega set a new record of 224.91 mph for a 1/2-mile run. What was more fascinating than the run was the way the Alpha Omega got it done: Sliding all over the place. The stock GT-R's traction control system manages to keep all four wheels planted for the first part of the run — something AMS says likely saps about 200 hp. 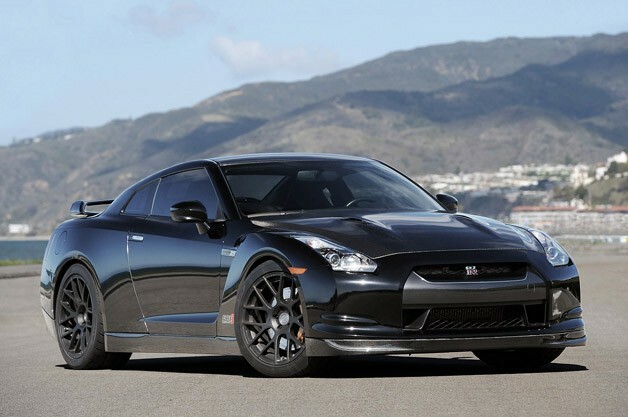 But when the GT-R reaches 210 mph, the traction control can no longer keep track of how fast the wheels are spinning, and essentially shuts off. That meant the Alpha Omega got a power boost at 200 mph that had it doing a burnout to 224 mph. We tell you not to try this at home, but unless you're AMS Performance, there's no need. You guys have no idea how wicked WannaGoFast gets. Last fall I went to the event up in North GA in the mountains and they ran at a private airstrip. It was so cool. We actually went out in a buddies Stage 3 Roush Mustang and blew up the planetary gears on the first launch with the new radials.